After viewing the videos of Kinect (formerly known as Project Natal) my patience has been rewarded. I resisted on principle the idea of purchasing two consoles especially when one of them (the Wii) amounted to what I figured to be an intriguing, but fleeting, fad. With the advent of Kinect I am seeing a device that fulfils the promise that the Wii flirted with. 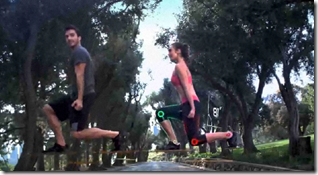 A device that understands your movement not just in 3 dimensions (ala the Wii remote) but observes and understands all your actually physical movements simultaneously in a very detailed and intuitive way. Game producer Ubisoft (see Assassins Creed, Ghost Recon, etc) appear to be the first developer to take on the fitness challenge with Your Shape Fitness Evolved. You can take a martial arts class or do some Yoga, you can even decide what kind of cardio coach you want and it seems to gauge how many calories you are burning during your work out. The video on the site indicates that your Kinect device cannot only track your movements but give specific measurements about you (height, waist, chest) and actually evaluate the consistency and appropriate form of your movements. This is where I thought the Wii (and all its expensive peripherals) failed miserably, it could never tell the difference between a great swing or a flick of the wrists. 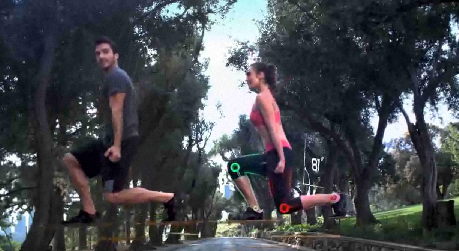 The detail with which Kinect appears to verify movements would surely lend itself to other applications mainly sports. Lets say I want someone to check my golf swing, or tennis form, or even my baseball stance. I cannot help but think of the Arnold Schwarzenegger film Total Recall when Sharon Stones character was getting coached on her Tennis swing.